The investment made in our production process represent an important competitive advantage we have, and the key factor for the achievement of our Mission. Investments addressed of course to increase our production capability and flexibility but over all useful to grant our customers high standards extremely constant in the time. Production system under computer PC-PLC supervision. 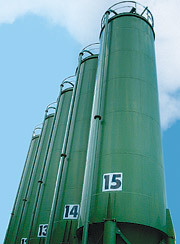 Unique and innovative system based on highly automated process for the most important production steps: computer controls formulations and reactor loading for all the main components, controls temperature, alarms, packaging and every critical aspect of compounds manufacturing. Computerized internal tracking system. Double check every production step on one side, and on the other to supply our customers with a quicker reliable and safer response to they’re demand. 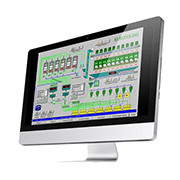 Computerized system for quality controls. New independent system for QC and tracking of all major and minor human activity related to every single packaging, through a wide wireless network all over our factory. Procedures and processe encoded, continuous internal trading, great attention to safety’s people, products and environment. We’re really proud in EUROPOLISH® S.r.l. for all these unique systems and technology that probably are really the most advanced in our fields world-wide. These large investments, our know-how, our very experienced and committed staff and our real partnership philosophy are completely devoted to all our Customers, that can experience on daily basis our extremely high flexibility and quality, objective and reliable co-operations, controls and reporting, before and beyond the production itself.